A new year also means a new season together with Vapentidningen. I want to take this opportunity to thank the Editorial Board and the Readers of the magazine for a great year. 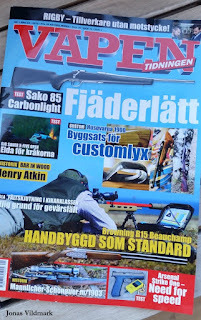 I look forward to this new year and a bunch of interesting articles! 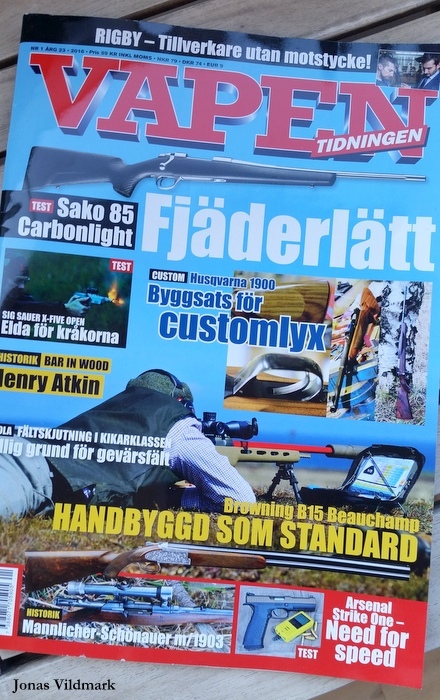 In this year's first issue you can find articles like; Sako 85 Carbonlight (A. Pettersson), Sig Sauer X-Five Open (H. Kalling) and Remington 870 Wingmaster (H. Kalling). From my pen you'll get some newsflashes from 2016 SHOT Show in Las Vegas; Morakniv Garberg, Buck 141 PakLite Large Skinner Hook, ESEE Camp-Lore and Helle Mândra. 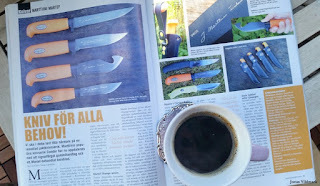 Also you can read my article about Marttiini's colorful hunting knife series Martef Orange consisting of four lightweight and practical hunting tools; Hunter's Carving Knife, Big Game, Skinning Knife With Hook and Skinner. So pour a hot cup of coffee and enjoy.